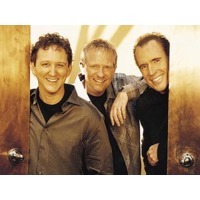 Phillips, Craig and Dean is a contemporary Christian music trio composed of Randy Phillips, Shawn Craig, and Dan Dean. Since forming in 1991, they have released 12 albums and earned 18 No. 1 radio singles. The group has received nine GMA Dove Award nominations, and sold over two million units, receiving two Dove Awards for participating in the special event album My Utmost for His Highest in 1996, and also took the 2010 Dove Award for Inspirational Album of the Year, Fearless.